Whomp!!! The sound of a jaw filled with massive teeth snapping to a close echoed throughout the wrestling ground of the Samphran Elephant Ground & Zoo. The crowd cheered and shrieked as, once more, the croc wrestler’s arms avoided being crushed, and possibly dismembered, by the crocodile’s powerful jaws. It was my first time at Sam Phran, a district in the province of Nakhom Pathom which is about an hour drive west of Bangkok. 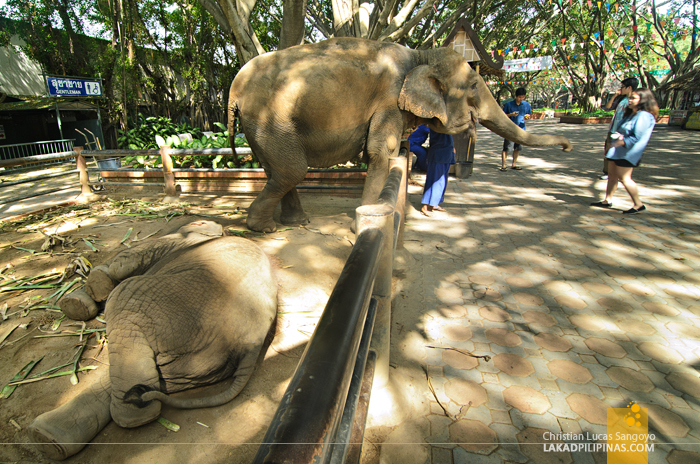 After having a hearty (and spicy) Thai lunch at JSM Pizzeria (sans the pizza) we dropped our bags at the nearby Sampran Riverside Hotel and proceeded to the Samphran Elephant Ground & Zoo. 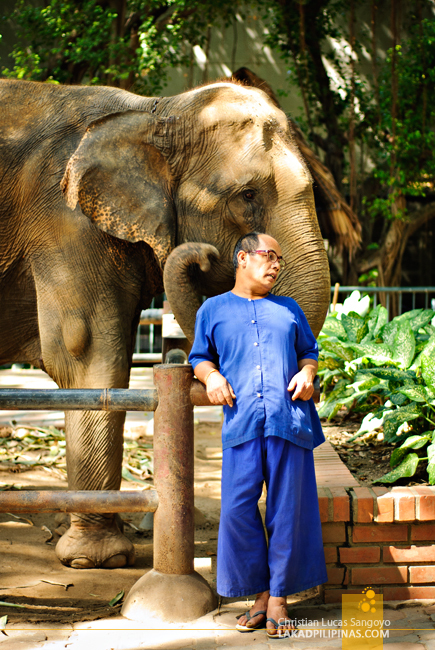 The zoo is mostly visited by Bangkok tourists in conjunction with their Damnoen Saduak Floating Market tour. The latter is usually done during the mornings and the former in the afternoon, since most of the zoo shows occur around that time. 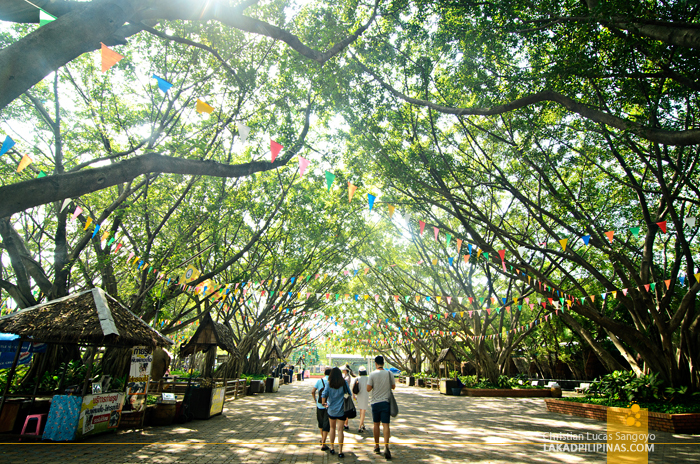 The 60-acre zoo was opened more than 30 years ago by a certain Phichai Chaimongkhontrakun. 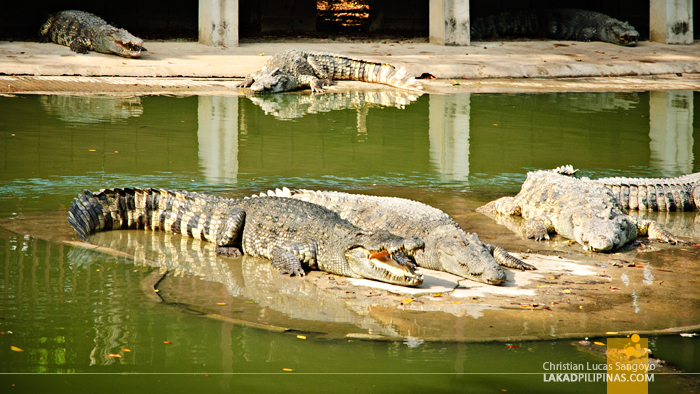 Being also a breeding farm, it has more than 10,000 freshwater and saltwater crocodiles with ages ranging from 8 to 20 years old. People go here for the elephant and croc shows though, so I really wouldn’t recommend the place for animal rights advocates. I saw about a dozen elephants on open corrals just a few meters from the entrance of the zoo. 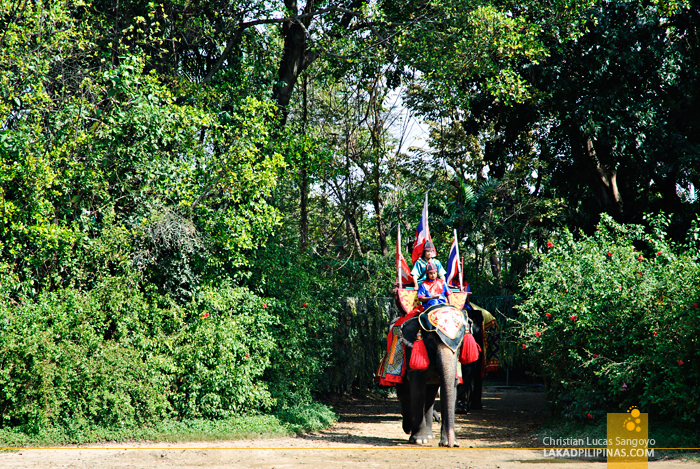 Most of these are already mahout-trained and are quite friendly to tourists. 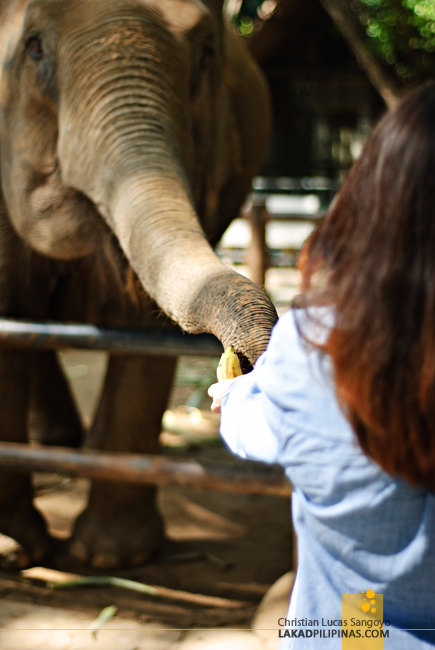 You can either feed them bananas, which you can purchase on stalls near the enclosures, or simply pose right beside them without the need to buy or pay any fees. After a few posterity shots by my companions (I don’t do selfies, lol), we proceeded towards the elephant show ground. This is really what we were brought here for. 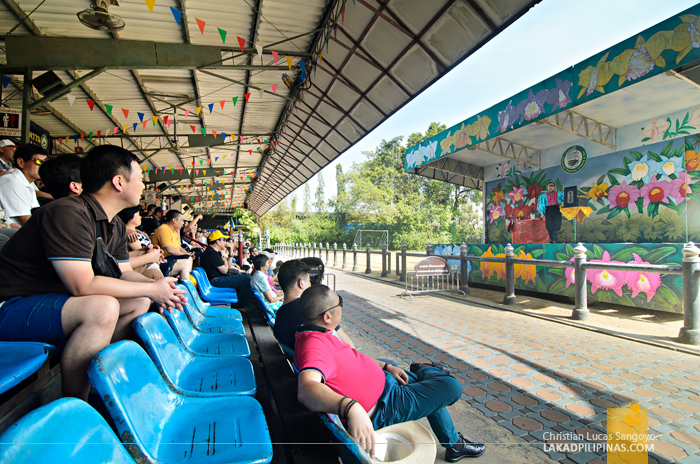 The elephant show area is set on a football-sized field with viewers sitting on a covered grandstand. A funny and very entertaining magic show starts off the program before the giants take over. Elephants slowly romping into the field started the program over an English overdub cracking over the speakers. 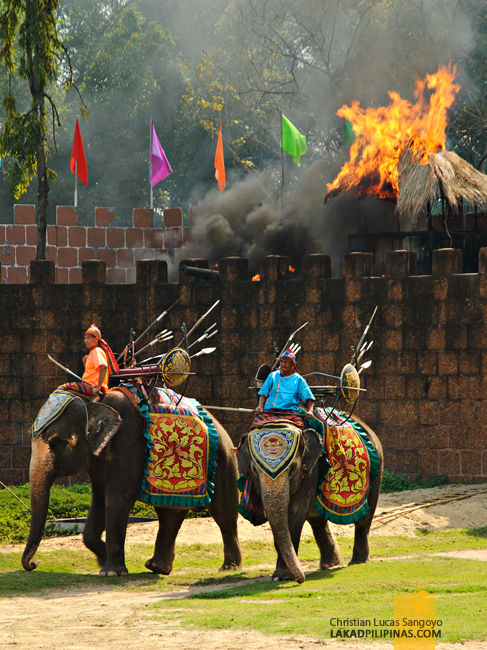 The first half of the show detailed the history between the elephants and the people of Thailand. It was interesting enough, my only wish was for the audio clarity to be a bit better; I was half-guessing what the speaker was saying the entire time. The reenactment of the Great Battle of Yuthahatthi, where the king of Siam fought the crown prince of Burma atop an elephant was the climax of the show for me. While the fighting soldiers on foot weren’t really that convincing, the exploding canons and the fire on the battlements were pretty exciting. It all went south right after though, as elephants were instructed to do cute acts most tourists go for, like play football and pose on unnatural positions. The claps and cheers came right on cue. I took a bit of a breather and explored a small portion of the park before the vaunted crocodile wrestling show commenced. 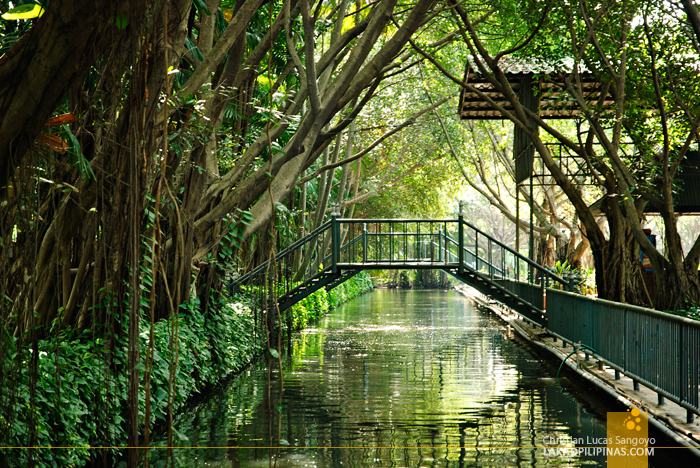 It was actually quite beautiful and very serene, with a canopy of banyan trees over man-made ponds and bridges littering the area. This place can be charming even without the shows. My reverie was broken by a mad cackle coming from the croc wrestling arena, the speaker blasting out Thai-glish on speed as two crocodiles were hauled by tail by a couple of barefooted wranglers. People started to gather over the deck overlooking the shallow pool. 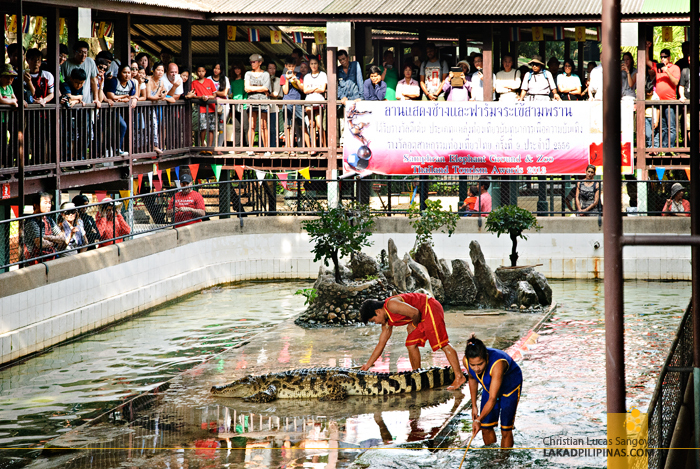 The crocodiles were set on a platform while the wrestlers did tricks and taunted them, making them snap their powerful jaws to the acclaim of the crowd. And those snaps were massive, echoing throughout the stage and actually making me wince every single time. 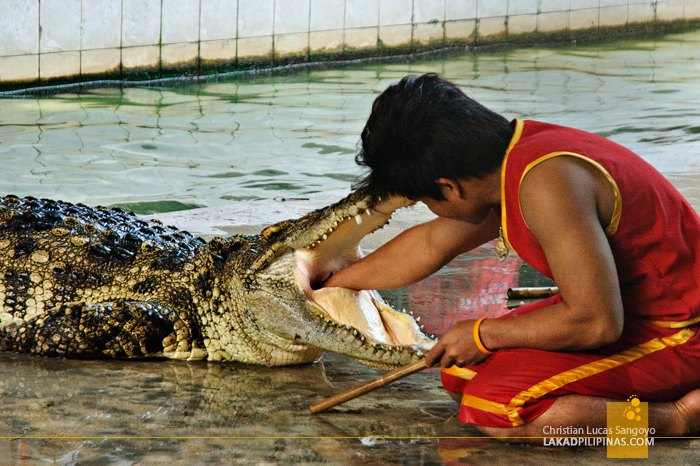 The apex of the show was when a handler actually put his hand inside one of the croc’s gaping jaws, reaching in way, way inside. It was both revolting and suspenseful. I’ve read somewhere before that these animals can instantly close their jaws with a wrong touch. And it’s a good thing too that these guys have the touch and know what they’re doing. 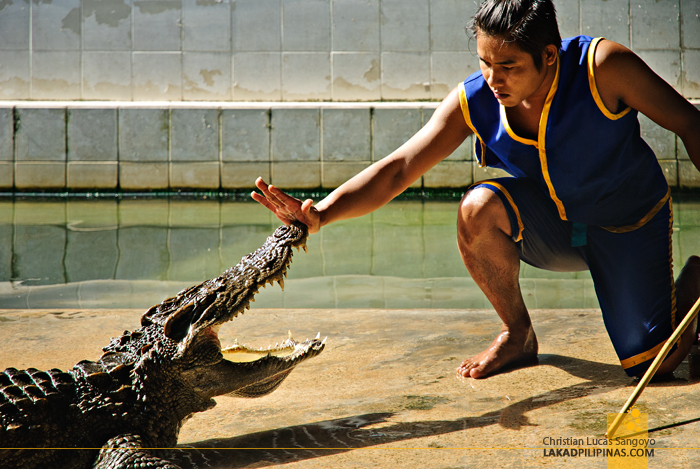 I don’t ever want to witness a bloody croc show with dismembered arms and horrified, shrieking crowd. Several thoughts were running on my head as we exited the zoo. While this place is definitely not for animal rights supporters, I actually like the historical parts of the elephant show. You might say that, well, they’re still using these elephants for entertainment. Heck, even the much praised Siam Niramit uses an elephant on stage. 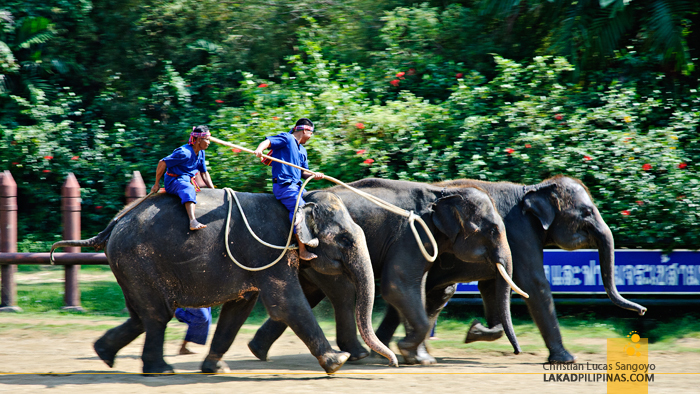 And judging from what I know, the practice of utilizing these animals as a beast of burden has been part of Thai culture since time immemorial. 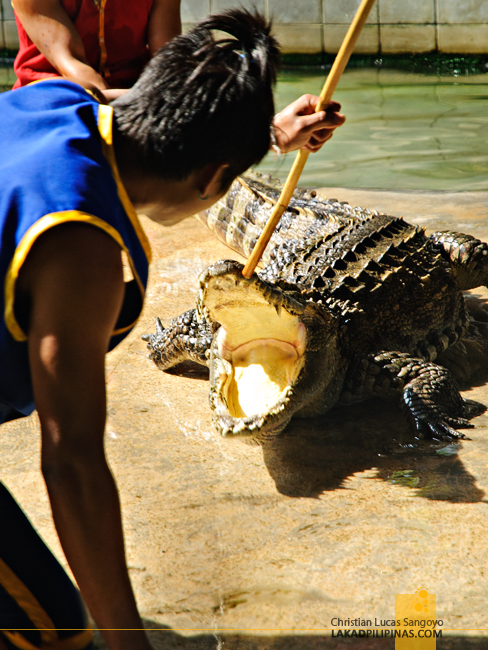 As for the croc show, it really wasn’t my cup of tea but there are far more vicious ones (and they’re even on TV) regarding the treatment of these creatures. I think the one hour wrestling thing is but a minor nuisance to theise animals’ daily life. I mean, I don’t want somebody shoving a hand inside my esophagus, but oh well. Let the debate begin. Well that's a nice place to visit. Thanks for sharing!